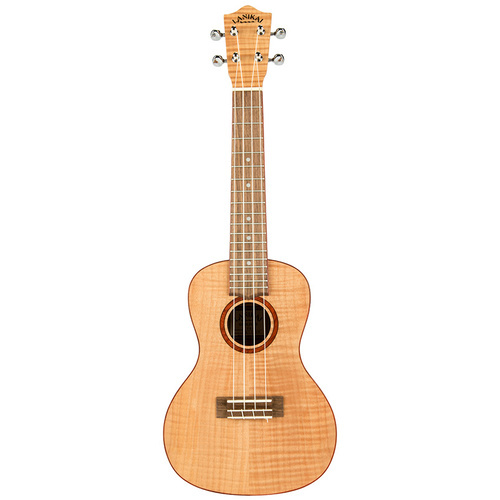 The Flame Maple with blood wood binding ukulele by Lanikai delivers dynamic new features such as a wider nut for player comfort, select figured wood, open back tuners, wood marquetry, NuBone XB® nut and saddle, D’Addario® strings, satin finish and a padded gig bag. 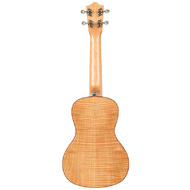 Flamed Maple is admired for the grain figuring. 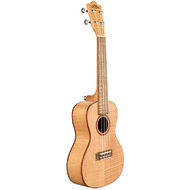 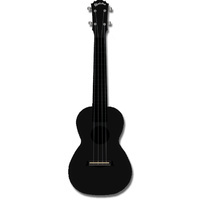 For a ukulele, it provides beauty as well as a bright tone with a slightly fuller mid-range.